DC Trinity Triptych Variant Covers Coming From Kim Jung Gi! DC Comics has revealed an amazing first look at the classic trinity (Wonder Woman, Superman and Batman) that will be appearing as a series of variant covers that make up this triptych image designed by artist Kim Jung Gi. 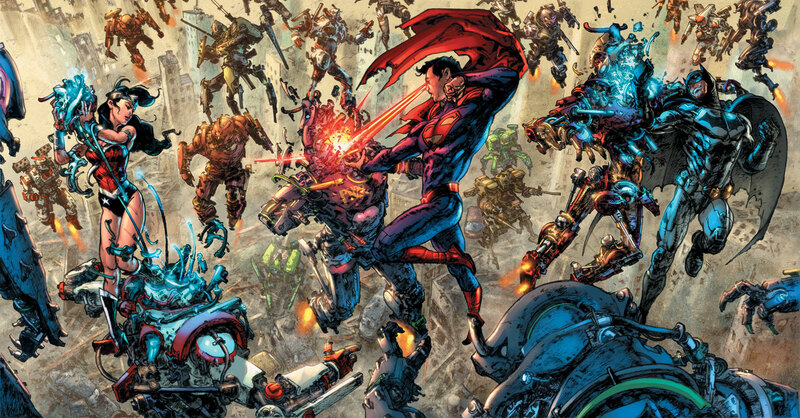 and Justice League: Darkseid War Special #1. These three covers arrive at your local comic book shop in February! After the jump, get a close-up of all three covers individually.